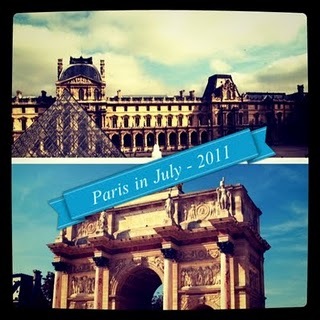 July is the month in which we get to indulge in everything Francophone because it’s Paris in July hosted by BookBath and Thyme for Tea. 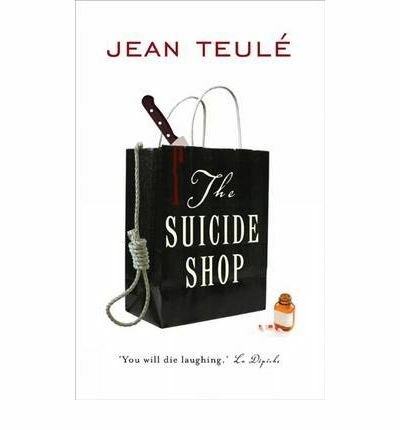 I had a lovely selection of books I was hoarding from which I decided to kickstart the challenge with Jean Teulé’s The Suicide Shop. This was a book I had my eye on for a while because of the intriguing title. I didn’t know anything about it but just wanted to read it. Yeah, I’ve always had morbid tastes. When I received the book I was a little apprehensive to find out it’s set in the future when Earth has undergone some sort of ecological and economical catastrophe. But Teulé’s novel isn’t like other dystopian novels. In fact, it doesn’t seem dystopian at all. For generations, Mishima Tuvache’s family has owned and runs The Suicide Shop which has everything you need for a successful suicide. From ropes, to poisons to seppuku swords, Mishima only sells quality products and gives careful advice to the unsure. With his wife Lucrèce and their three children, Vincent, Marilyn and Alan, all named after successful suicides (van Gogh, Monroe and Turing), the Tuvaches own a successful business. That is, until they realise that their youngest, 11 year old Alan, is not really into the morbid worldview they all share. His sunny disposition and secret sabotaging of the family business slowly change the family dynamic and the business and the Tuvaches slowly find their world changing. This was an utterly charming book. I didn’t expect to enjoy it as much as I did. Teulé’s anecdotes and little nuggets of information from famous suicides to the history of seppuku to the naming of his characters are pure genius. As soon as I saw the name Mishima Tuvache, I was hooked for Mishima is, of course, named after Japan’s most famous modern ritual suicide, the novelist Yukio Mishima. For a book about different ways of killing yourself, there is a light-hearted touch that lifts this book from a dark and depressing read to one of whimsy. Naturally the notion of death will underline a book such as this, yet it is more about happiness and hope than despair. It’s not all happy, but it will certainly make you laugh. As a fan of The Addams Family, The Suicide Shop charmed the socks off me. Sometimes, I impress myself by the choice of books I make. I’m pretty good at picking the good ones, eh? Thank you very much to the lovely Gallic Books who kindly sent me this book to review. I’m looking forward to reading Teulé’s next book, Monsieur de Montespan, about the famous cuckold. He certainly knows how to pick his subjects. Have you read his other book about Montespan? I liked that too. No, me neither *joins you in the fist-shaking*. I do have the other book on my shelf and, although I wan’t in the mood for a proper historical read earlier, I am now looking forward to reading it. He’s a brilliant writer. I need to read this! Gaskella very kindly sent it to me as a Secret Santa gift years and years ago and I have yet to get to it. Thanks for the reminder that I’m really missing out. Seriously I really enjoyed this book enormously. The Alan Turing painting kit particularly tickled me. Seriously twisted sense of humour! You still have time Stu! You can certainly pick them. A more intriguing subject one would be hard pressed to find.